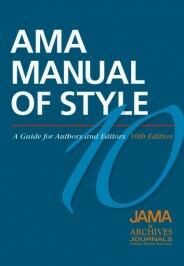 In this 3-part series, Brenda Gregoline, a member of the committee that writes and updates the AMA Manual of Style, reports on the most frequent mistakes authors make when submitting manuscripts to JAMA and the Archives Journals. She lets us in on what drives copy editors crazy. Read part one here and part two here. It’s impossible to expect authors to absorb all the information in the thousand-page AMA Manual of Style–they’re just trying to get published, and it’s our job to help them. Here, in classic top-10-list reverse order, are the top 10 editorial problems we see in our submitted and accepted manuscripts, compiled by committee and editorialized upon by me. In Part I we discussed filling out author forms, omitting “behind the scenes” stuff, and generally making life difficult for the copy editor. In Part II we discussed common punctuation and style mistakes, errors of grandiosity, and wacky references. Today we discuss the final 4 in our top-10 list of most frequent mistakes. In scientific publication, it is not acceptable to submit a report of original research to multiple journals at the same time. Journal editors are likely to be more disturbed by this if it looks deliberate rather than like a simple mistake (not realizing that a foreign-language journal “counts,” for example) or if the case is debatable (a small section of results was published in another paper, but the new paper adds tons of new material). Remember those forms from the 10th most common mistake? One of them asks about previous submission or publication. We need authors to be up-front about any other articles in the pipeline, even if (especially if) they’re not sure if they might constitute duplicate publication. 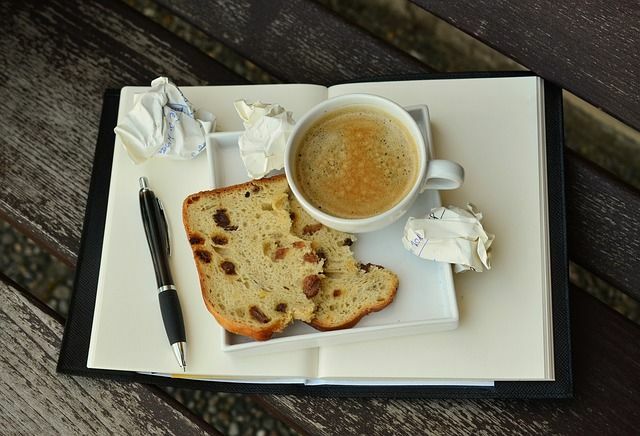 Image Credit: ‘Coffee Break – Cup, Notebook, Writing’, Photo by condesign, CC0 Public Domain, via pixabay. 3. Failing to protect patient identity. Yup, there’s a form for this too! Any time a patient is identifiable, in a photograph or even in text (as in a case report), authors must have the patient’s consent. (Contrary to popular belief, the gossip-mag-style “black bars” over the eyes are not sufficient to conceal identity.) Usually we hear complaints about this, because studies are written long after patients are treated and it can be hard to track people down, but them’s the breaks. If it’s really impossible to obtain after-the-fact patient consent, editors will work with authors to crop photos, take out case-report details, or whatever it takes to “de-identify” patients. In the abstract, 76 patients were randomized to receive the intervention, but it’s 77 in Table 1. There was a 44.5% reduction in symptoms in the medicated group in the text, but later it’s 44.7%. Sometimes this is because the abstract is written first from the overall results, while the data in a table are more precisely calculated by a statistician; or maybe the number of patients changed along the way and no one went back to revise the earlier data. Either way, it drives copy editors crazy. 1. Not reading a journal’s Instructions for Authors. These days almost all scientific journals have online submission, and almost always there is a link to something called “Information for Authors,” “Guidelines for Manuscript Submission,” or something similar. Judging by the kinds of questions editorial offices receive almost daily, authors rarely read these—but the publication process would often go so much more smoothly if they would. Featured Image Credit: ‘Home Office, Workstation’, Image by Unsplash, CC0 Public Domain, via pixabay. Brenda Gregoline, ELS, manages the copyediting team for 5 of the Archives Journals, and is a member of the committee that writes and updates the AMA Manual of Style. She is a member of the Council of Science Editors and has worked in scientific publishing for nearly fifteen years.